Looking for the perfect accessories to complement your custom table? 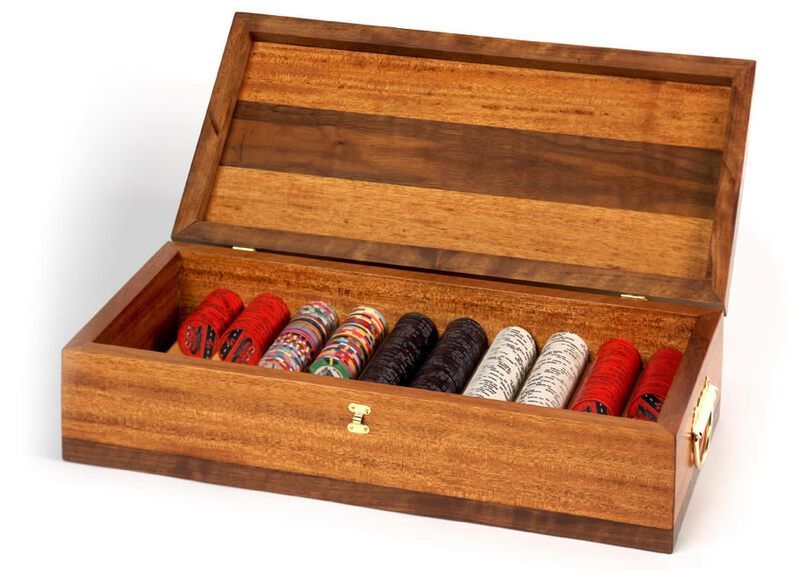 Let us create your custom poker chip case and chips to match. 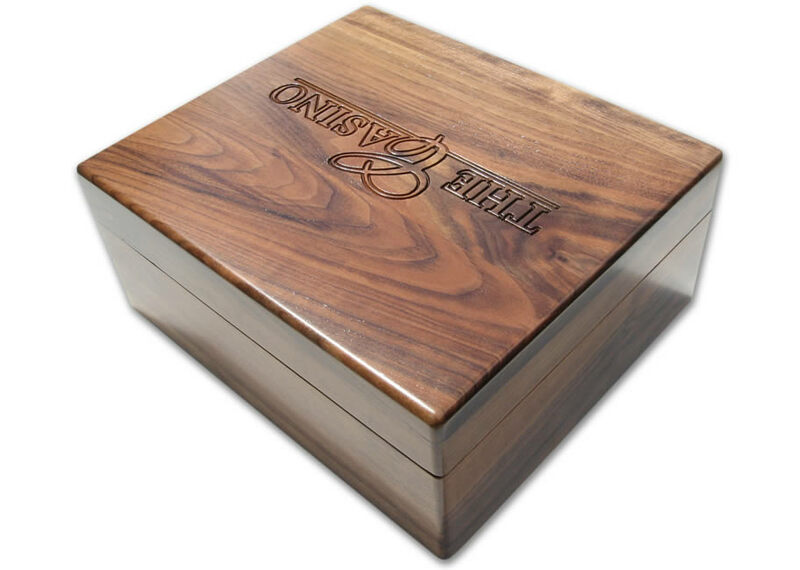 Our designers can work with your existing logo or design a unique chip that will be exclusively yours - makes a great gift as well. 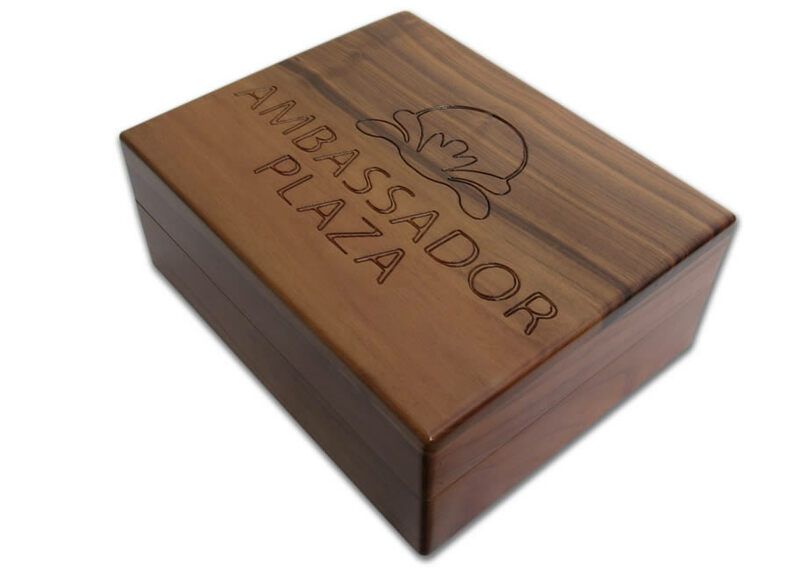 The cases are made of solid wood of your choice with the layout and size. 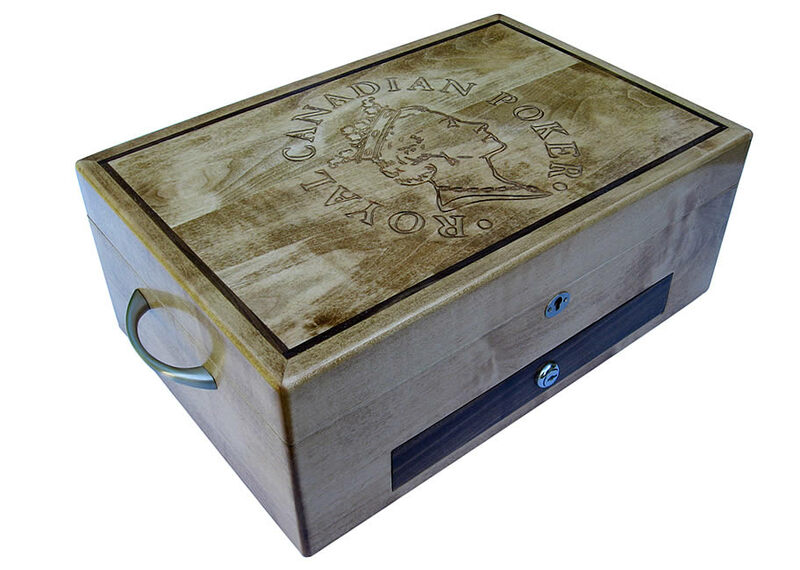 We also offer engraving to more personalize you case. 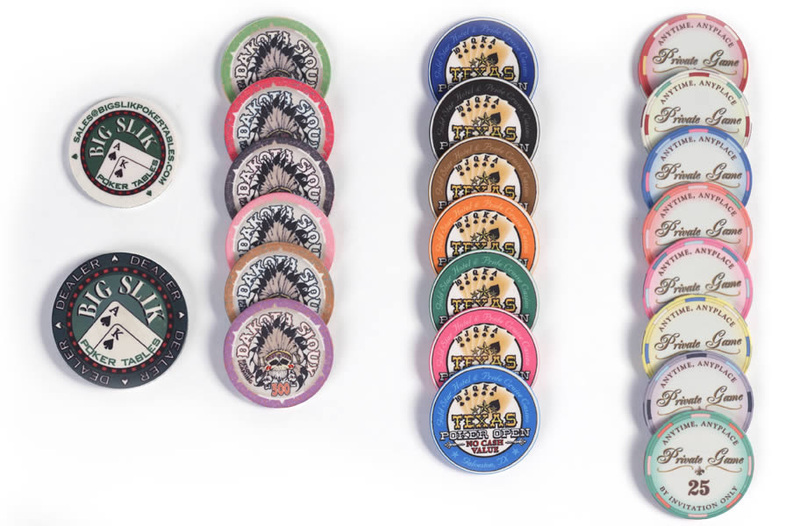 The chips are ceramic which are very popular now in the gaming industry. 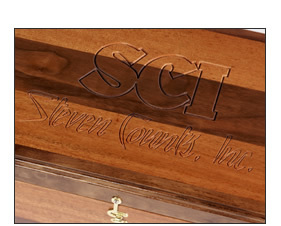 They are fully customizable on each side and rolling edge.